2016 SEO Trends - What Will Change with Google Rankings? 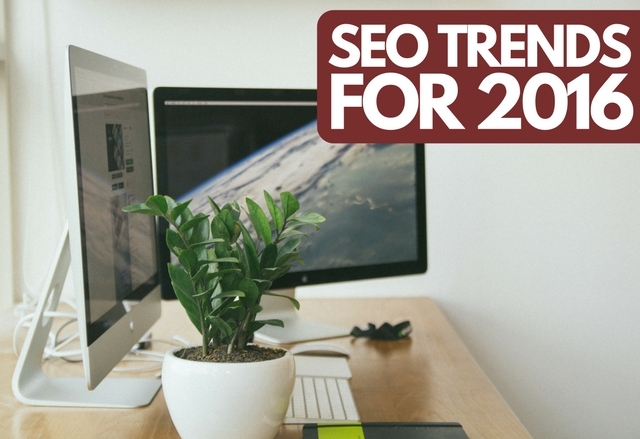 With 2015 behind us, it’s time to focus on what’s next: 2016 SEO trends to be considerate of this year, and how you can adapt accordingly. 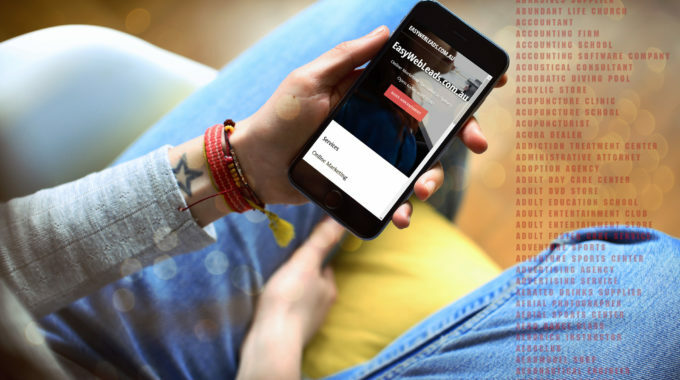 It’s obvious to anybody doing any kind of online marketing, that mobile is the future. After Google’s rather anti-climatic attempt last year to “slap” any website which wasn’t mobile friendly, often referred to as Mobilegeddon (a lot of sabre-rattling, but little real impact to ratings from our studies), 2016 is going to see an increased focus on the mobile platform… in several ways. All research indicates search engine queries from mobile devices are set to overtake searches made from desktops this year. We’ve seen this trend coming for some time, particularly in the last 12 months. This has a few different impacts for SEO. Possibly the biggest one is overall optimisation of ALL your pages – not just your homepage – to ensure the content fits well on a smartphone. This includes leaving enough space around buttons and the page margins, using optimised images, and so on. You can use Google’s own mobile-friendly website checking tool for a comprehensive list of what specific things you need to change. With the increased use of smartphones and the growing popularity of personal assistant apps (Siri for Apple, Cortana for Microsoft and Google Now for… well… Google!) the search phrases used in the search engines is changing. For example, if we’re typing the query we may write something like, “gluten free restaurant sydney” (yes I’m a cealiac, no gluten for me). However if we’re using voice search, we’re more likely to use a longer keyword search – known as a longtail keyword search – maybe something like, “what’s the best gluten free restaurant in sydney”. Google started preparing for voice search with their Hummingbird algorithm update, back in 2013. What does this mean for SEO? Simply that we need to start breaking away from ONLY focusing on the short, broad keywords and optimise our pages to include longtail keywords based on our research. Google Adwords introduced Call Only ads in February of last year. These ads are designed for businesses who care more about generating immediate phone calls than they do about website visits / online lead capture. Openly they’re not something we’ve explored yet, but plan to in 2016 for our clients who fit this model. Today there are so many options for creating quality videos, there are very few excuses left for not using video as part of your online marketing regime. The explosion of online video will continue in 2016, and it’s a service we will be focusing on more in 2016 (for our clients and our own services). 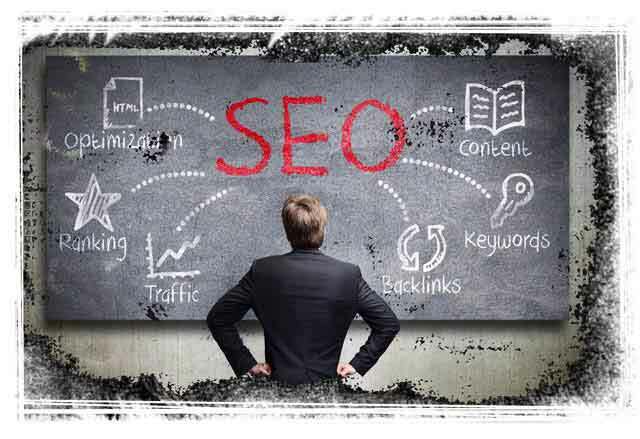 Keywords have always been a mainstay of SEO. From the simple use of putting your keywords into the (now largely ignored) “keywords” tag of your pages, to stuffing your keywords in your headings and body content even when they didn’t make sense, to Google’s Penguin algorithm updates, keywords have evolved… but they’re not going away any time soon. As mentioned earlier, long-tail keywords will be something to consider for SEO in 2016. Another way we’ll see keywords develop is through use of similar keywords to your target keywords. Let me explain. What we’ve been finding is that Google considers these “related searches” to be (essentially) the same as whatever you’ve just searched for. So, it makes sense to add these search phrases to your page content. 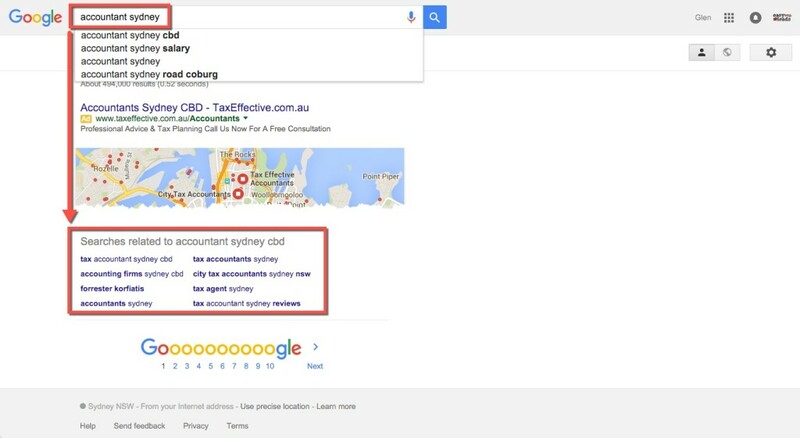 So if you’re wanting to rank for “accountant sydney” as in this example, you’d do well to also sprinkle “accountants sydney”, ” tax agent sydney” and “tax acountants sydney” throughout your page copy, image ALT & Title tags and Heading 2 text etc… providing you can make those keywords work from a grammatical perspective, without looking forced! But more than this indicator from Google, we know they’re improving their algorithm to better match similar search results. For example, we’re seeing “dietician” and “nutritionist” used interchangeably. We’re seeing “solutions” and “services” and many other combinations used in the same vein. So rather than focus on individual keywords, the focus for 2016 will be on keyword groups. We’ve been using that strategy for over 12 months already but I believe it’s going to become even more important this year. Content is and always will be king. But what Google wants to see more of in 2016 is how your users engage with that content. Do most site visits end with a quick click of the BACK button? Are your site visitors clicking on links, images or videos within your pages? Are they checking out multiple pages during their visit of your site? Are they sharing and / or “liking” your content on social media? Is your content easily accessible, or do your visitors have to jump through hoops in order to find it? 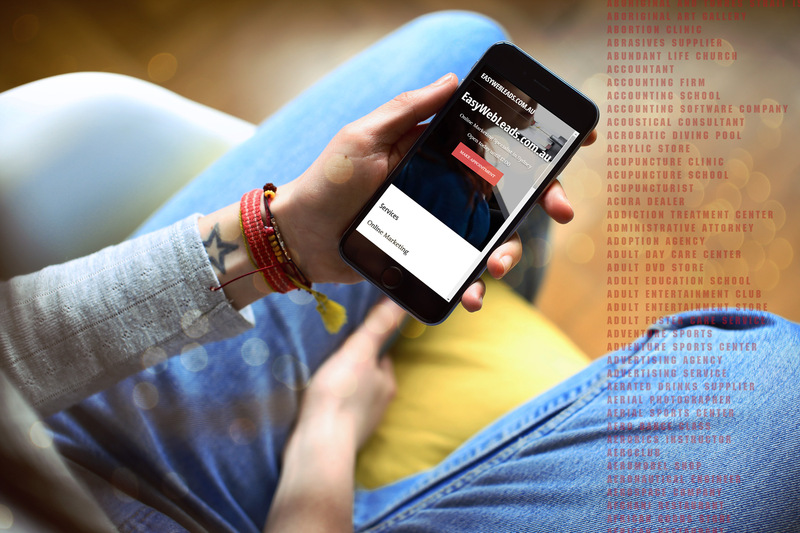 Does your website “look trustworthy”? Is it professionally built, or does it look like a website from 1995? Is your website free from malware and other nasties? Layout and ease of use also come into play with this SEO factor. 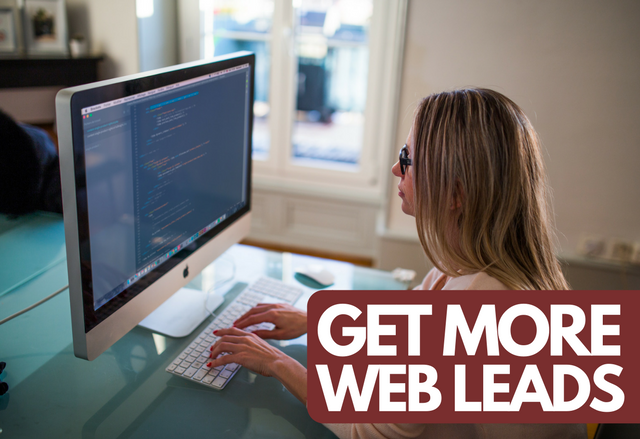 Your website needs to function properly on all the major web browsers. It needs to load quickly (page speed loading time is another key ranking factor being targeted by Google these days). You can find an excellent article regarding this SEO trend factor over at Moz, a recognised authority on all things SEO. Trying to predict the future in an industry largely controlled by a company like Google is always tricky. We’ve seen them come out with bizarre updates with no or little warning (such as the November 2015 Google+ Business page update which confused and frustrated SEOs and business owners globally). And of course, anything Google tells us they’re going to focus on needs to be tested and validated by real world testing. After all, we’re still seeing sites rank #1 in their search results where those sites are TOTALLY dodgy, in violation of almost every “rule” Google has ever created. I hope this article was helpful to you in some way! We created an infographic, 2016 SEO Trends Predicted to summarise (in part at least) the content of this blog post. 2016 SEO Trends – Super-Fast Video Overview!